By changing the normal style kitchen into a modular form might increase the passion and creativity for cooking. In addition to this, renovating the kitchen with stones, entirely, will render a feel of cooking in the wild area. Along with the stone arrangements, installing green ornamental plants inside the kitchen will also renders the feel of wild life cooking. There are many shapes of modular kitchen like ‘u’ shaped, ‘L’ shaped modular kitchen. These types of kitchen are designed with proper space between every compartment like stove, sink area and refrigerator, etc. many approved websites are coming up with the outstanding models of kitchen ideas. Of those outstanding models, stony kitchen is something wild and stunning to select. Though it may not the choice of most of all but has been picked up by the number of residents. 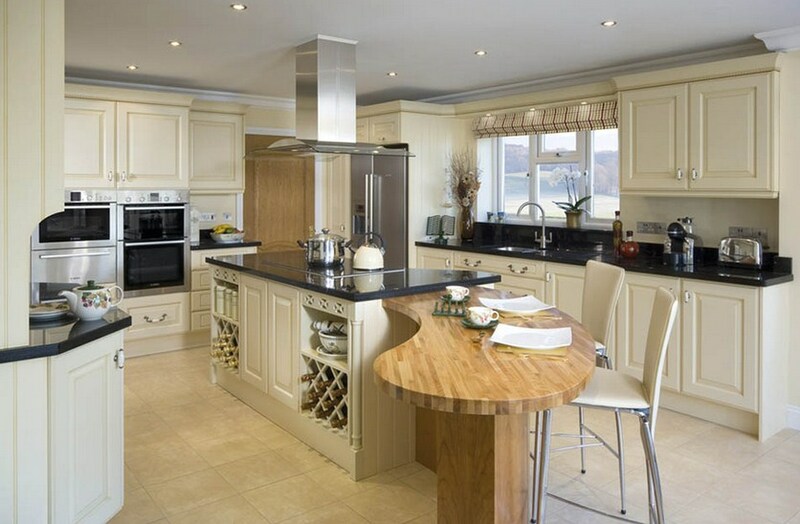 Stones indulged in renovating are natural stones like granite, limestone and slate varieties. Either the entire atmosphere or the walls of the kitchen alone may be stony. Even though the kitchen set up is stony, the furniture and utensils are selected as what they want to be. Proper shelving racks under the cabinet with drawers to store kitchen utensils, accessories and cookery tools. Especially, the toe kicked drawers are built-in to stack the unused accessories under the cabinet. Select proper lighting system to bring enough light while cooking and suitable chimney installation to wipe out the smoke out of the cooking area and coat the chimney system along with the entire cooking cabinet with the vintage, rustic color. While talking about the flooring of the kitchen, dark shades like wood lamination, tile flooring that matches to the wall’s stony arrangements. 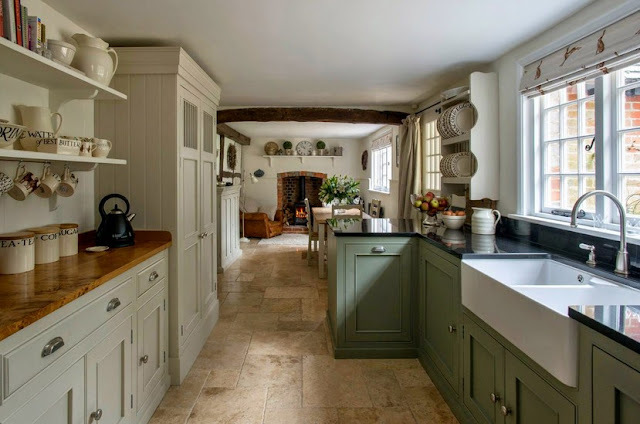 Also dark colored flooring matches to stunning stone kitchen than any other light or bright shades. Similarly, metal furnishing for dining and relaxing should be chosen than the wood or light colored furniture. Stone kitchen may be launched in the closed rooms as well as in the open lawn just like the barbeque. It is admirable when a stunning stone kitchen is open to lawn than in the closed room. Because, only then the greenish feel for the kitchen will be achieved rather to implant the artificial ornamental plants. A chopping board designed to be placed idle to perform the chopping action and disposing the vegetable waste directly from the chopping board. Rope lighting arrangement under the vanity for night time is ideal way. Proper ceiling arrangement with the same rustic, stone material can be done to render a feel of living and cooking in the farm house. Cozy Mediterranean kitchen is the world’s best modular form of stone kitchen that paves a calm and silent atmosphere depart from the daily rush life. It will be better to renovate the kitchen in the Mediterranean modular form. From above all the differentiating ideas, select the apt and adoptable choice of modular form for your stunning stone kitchen. 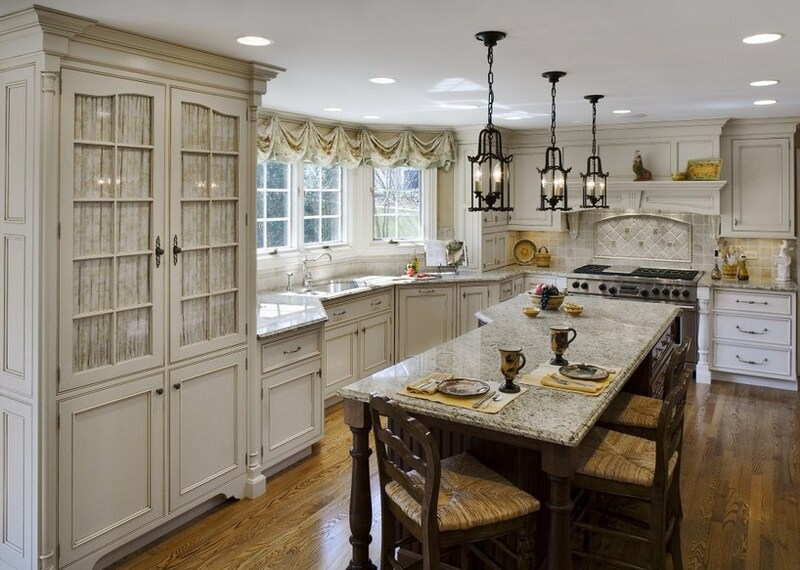 Renovate the kitchen with proper furnishing and painting factors to fulfill the complete modular form.